Designed for flexibility and organization! Outriggers are a great choice as a wall display. 3-piece system includes 84 in. x 14 in. return with 1 in. square tubing, 2 wall brackets. Slots are 1/2 in. x 1 in. on center. 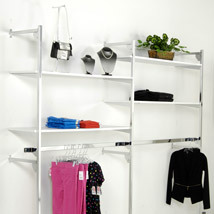 Create customized clothing rack displays using our wide variety of shelves, hangrails and faceouts. Check out YouTube video foreasy assembly. 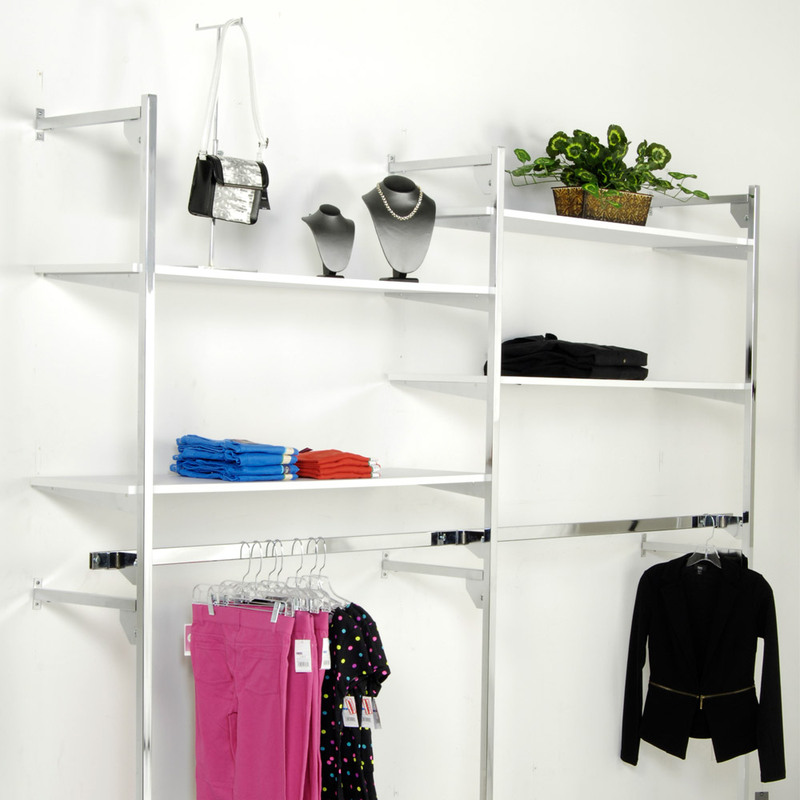 For many more products, we invite you to take some time to view our thorough assortment of retail clothing racks for sale at Specialty Store Services now.